Christenings are such fantastic celebrations but can often mean a lot of hard work if you decide to feed your friends and family, often taking some of the fun out of the day. Alimento can solve this problem for you, below are a couple of sample menus, just some ideas of what we can do. 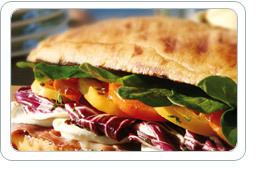 We can of course create a menu just for you, one that suits your taste and budget. Complete our enquiry form or contact us by phone and we will be happy to discuss your ideas with you. The most important guests at a christening are of course the children and we haven’t forgotten this at Alimento. We provide a separate buffet for the children including all the things they love. This is complimentary when ordered with a grown ups buffet.